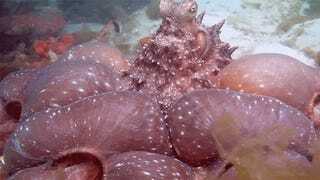 Don’t interrupt an octopus while it’s eating and don’t you dare point your camera at it because the octopus ain’t having it. In fact, the super villain creature of the ocean will try to intimidate you when you do that because it’ll charge at you, stare you down, and then inflate itself like a giant parachute so it looks like it’s flexing all its muscles at once. 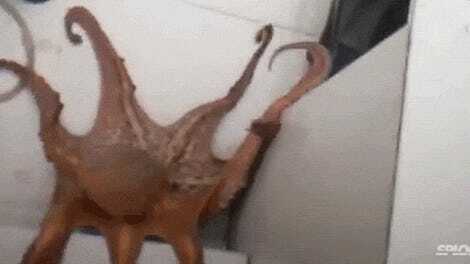 It’s actually pretty impressive (and a little bit scary). 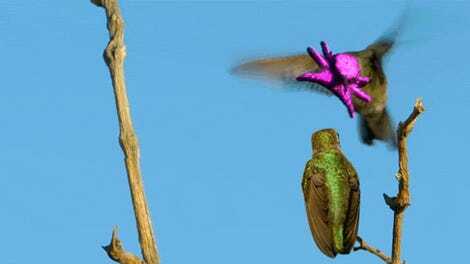 Why the Heck Does This Hummingbird&apos;s Face Look Like a Shiny Purple Octopus?